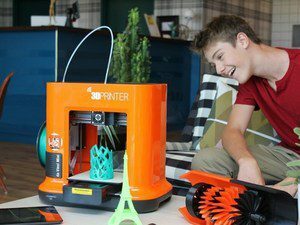 IT market research specialist CONTEXT concluded that desktop 3D printers in the sub $5,000 range are responsible for the 14 percent increase in worldwide 3D printer shipments over the first half of 2016. While 3D printer shipments in the industrial/professional segment declined with about 15 percent over the first six months of 2016, compared to the same period in 2016, 3D printers in the sub $5,000 personal/desktop category did well. Representing most of the total units sold, they grew by about 15 percent and are largely responsible for the global shipment increase of 14 percent.